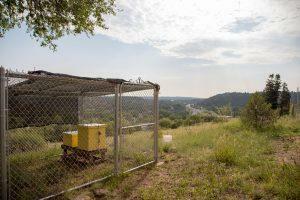 This summer was buzzing at the UCCS Farm. 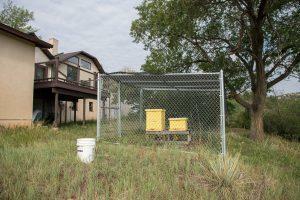 Two small hives were introduced and are thriving behind the farmhouse. Students started the initiative last spring and it was funded by the Green Action Fund. After the first two hives failed last year from harsh weather conditions, the UCCS Farm team learned what it took to have a successful hive. “It’s hard to establish a package, and with student initiatives, it’s a good idea to have a dedicated staff member that’s committed to learning along with the students and can devote time and resources to the project,” Kelley Jennings, manager, UCCS Farm, said. After researching different hive options, the students chose to start with Langstroth-style hives. In May, two Lockhart nucs (small hives), were delivered and installed with the help of Rocky Mountain Bee Supply. 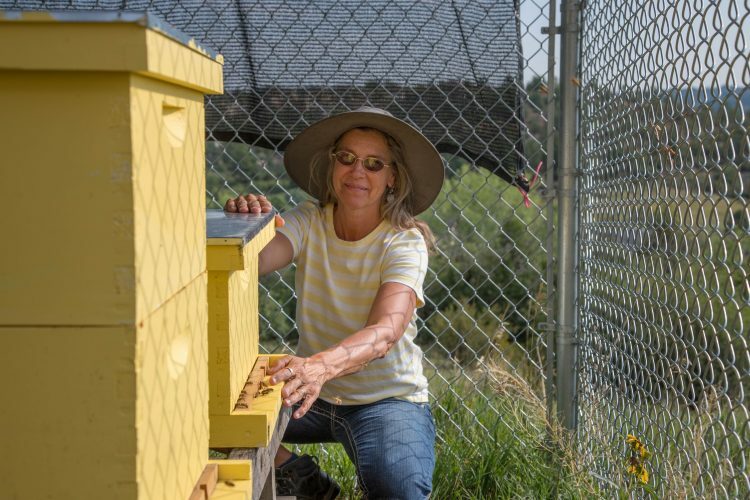 “We’re really grateful for the support of the Rocky Mountain Bee Supply, they’ve opened their knowledge bank up to us, and they’re a great local resource for the community,” Jennings said. Jennings likes the idea of being a bee guardian rather than keeper. “It’s in line with our philosophy at the UCCS Farm of being stewards and guardians of nature and to support ecological systems,” she said. 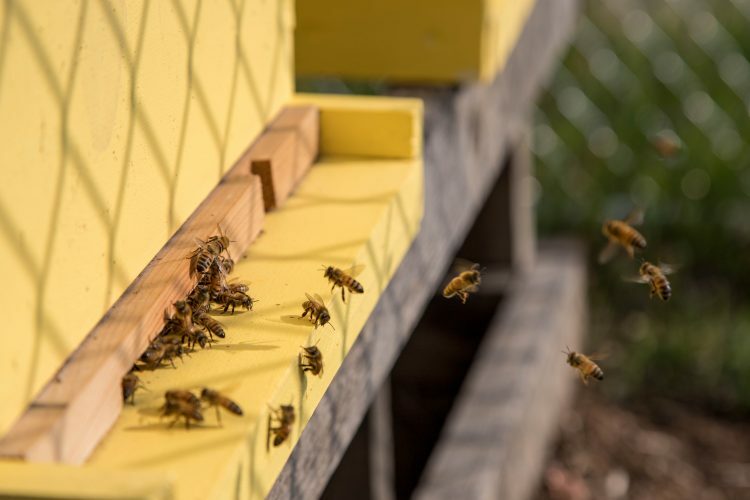 The farm doesn’t plan to use the bees for honey production, they want to support the world-wide bee problem and provide a place where they can call home for the years to come. The Bee plan is great!